We’ve been working with the lovely Sarah Horne to create a cute little piece of experiential activity for IKEA (which turned into a couple of sweet pieces of coverage along the way). 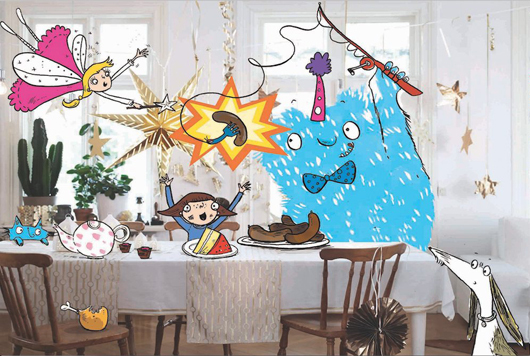 For those not familiar with her work, Sarah is a fantastic children’s illustrator. 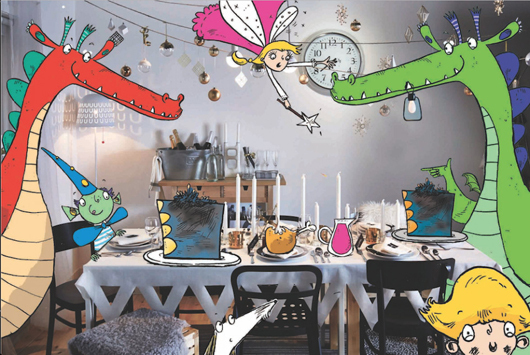 It also just so happens that she had a fondness for our idea of “hacking” an IKEA catalogue with some imaginary mealtimes – mostly of mythical creatures (naturally). So first of all, we created a “catalogue hacking” event for kids in-store. 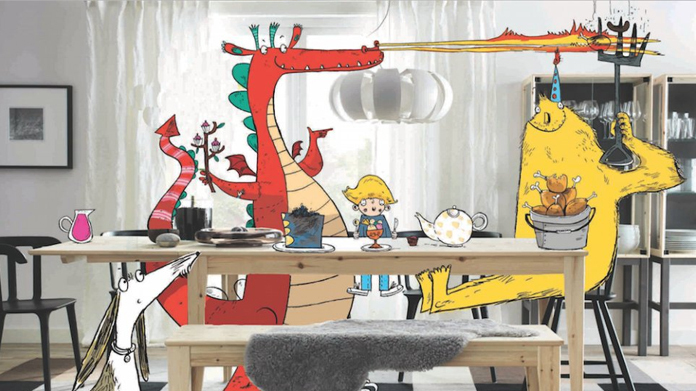 Sarah worked with the kids in IKEA’s kitchen sections in-store. She asked them about what they thought a variety of imaginary characters might eat were they to appear for dinner at any point. Whether dragons, fairies, yetis or goblins. She then brought these mythical and generally made up (shhhh … don’t tell the kids that!) mealtime into reality. What better to use for that imagining than the IKEA catalogue itself. Hence the images that adorn this page came into being. And the story of our “hacking” of the IKEA catalogue wasn’t just an ace couple of days out for some kids who might otherwise have been distracting their parents while they were choosing a new kitchen, it also generated some lovely snippets of coverage, including a belter on PSFK (and piccie pieces on the Daily Mirror and Huffington Post to boot).